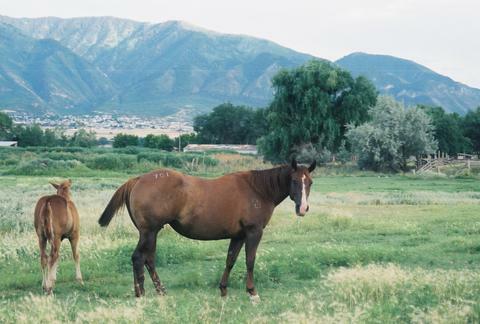 We traded a mare (See Royal to the Bone aka Diana on the HORSES SOLD page) for Tootsie and her foal, and when Tootsie arrived, she was extremely standoffish. Wouldn't let us touch her. Now she is far more friendly, though still isn't all the pleased when she sees ropes. She is from Oregon, and not only is beautiful, but brings new bloodlines to Utah. Tootise is easy to get along with, not a remarkably dominant mare, but neither is she a wimp who gets beaten up by our lead mare. 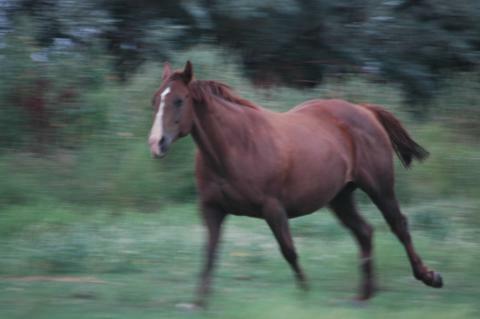 We are glad to have Tootsie in our herd and look forward to seeing the foal she'll produce with Hank in 2005. We love her colt, Mr. Dude and are sure the foal she throws with Hank will be as smart, docile and good looking.